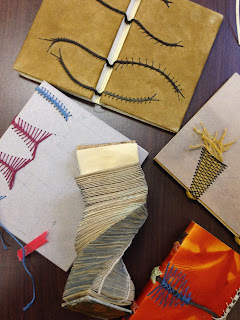 Caterpillar Stitch Workshop with Denise Carbone at the Library Company of Philadelphia, February 24, 2018 for the Delaware Valley Chapter of the Guild of Book Workers. The caterpillar stitch is distinctive in several ways, and its advantages are significant. Each station is sewn by itself, vertically, so there are as many threads spiraling through the signatures as there are sewing stations. There are no kettle stitches. 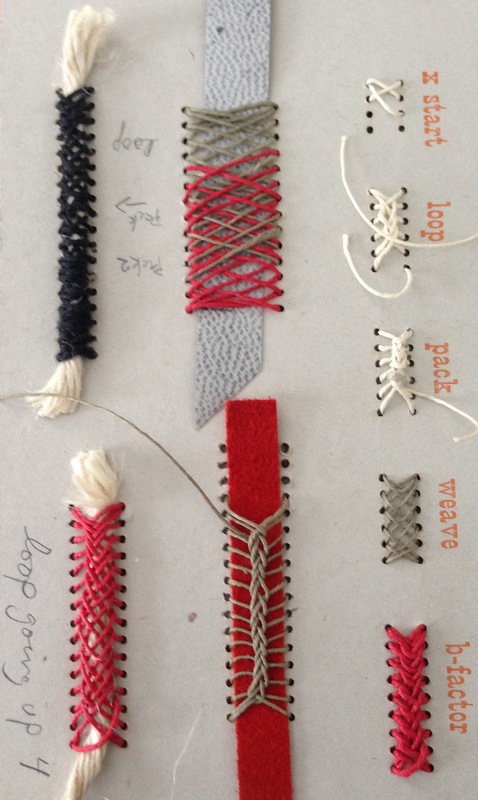 The repetitive looping of the thread creates structure, so binders can chose to add cord, leather or tape supports or not. A stitch can be “packed,”(extra wrapping,) either for strength, or to cover the space between stations on fat signatures. Books sewn this way open easily. Binders can continue the sewing onto the covers for added strength or amusement. 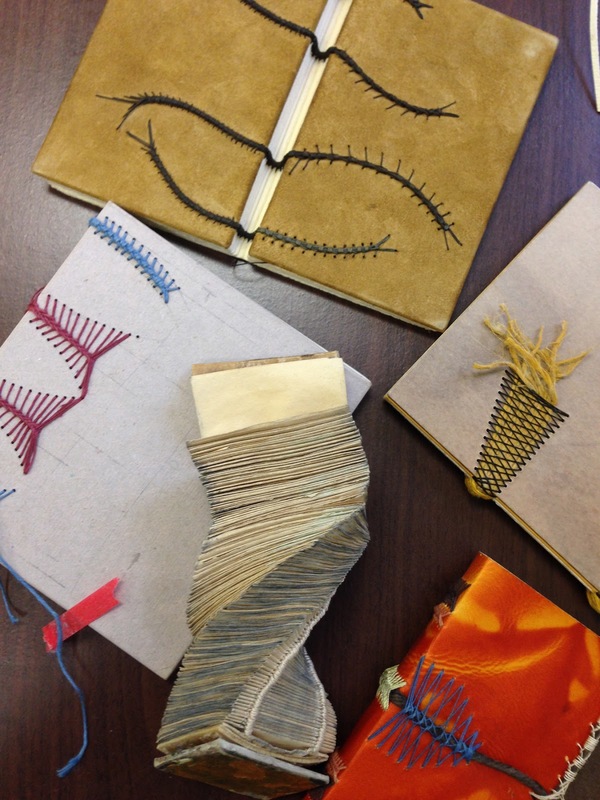 Denise passed around many examples of inspired sewing, and cleverly made books. Denise is a fantastic and inspiring instructor. She makes learning this crazy stitch inevitable. First we practiced the stitches on laser-cut cards, then on a text block. All attempts were examined and reviewed closely by our fearless instructor, because once upon a stitch...a struggling student invented a new sewing pattern, now known as the B-factor, in one of Denise's classes. Who knows! It could happen again.